This season of giving: Is the act of freely giving respectful to the poor? On December 8 and 9, 2017 Family Promise of Grand Rapids will invite 100 underprivileged families mostly through its IHN program, to join for a Christmas meal and purchase household items at affordable prices. And this year will be Cornerstone Church's 4th year hosting the event. Cornerstone Church, a United Methodist ministry, started in 1990 with 40 people. Over the years, we've grown into a diverse community of people who come together to worship God and experience His power and presence through meaningful and relevant worship and a biblical message each week. Imagine if you are unable to provide for your family and just received a large amount of donated items? How would you feel? "Blessed" maybe a common answer a lot of us would provide - why shouldn't we? But in reality, a large number of people on the receiving end actually feel ashamed and stripped of dignity as they feel they are incapable of providing for their own families. The idea that helping was decreasing dignity was a rather shocking realization for Family Promise of Grand Rapids, a non-profit organization, six years ago when they were reading a book call "Toxic Charity" by Robert Lupton. Since 1997, through its "Interfaith Hospitality Network (IHN) program," Family Promise has been providing housing solutions and basic necessities for families facing a housing crisis though host congregations. Host congregations are churches that open their space to provide food, hospitality and a safe place to sleep for the families without a home. In the past, Family Promise provided gifts to the families that may have stripped them of dignity, and after reading “Toxic Charity” Family Promise decided to provide some basic necessities to families in a new way. 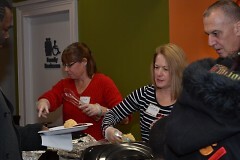 In December 2013, they held their second Christmas Dinner & Store at Cornerstone Church’s, Heritage Hill Campus. 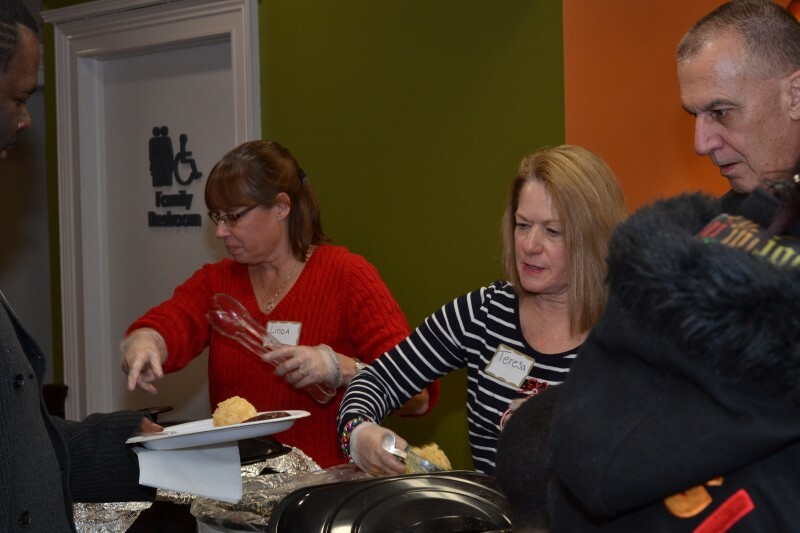 Family Promise of Grand Rapids invited the families they have helped in the past year, mostly through the IHN program, to join for a Christmas meal and purchase household items at affordable prices. And this year will be Cornerstone Church's fourth year hosting the event. On December 8 and 9 of this year, Cornerstone Church - Heritage Hill is expecting almost 100 invited families to attend. Parents will drop off their children at the kids' area to play while guided by the volunteers, and parents will head to the Christmas store for shopping. There, various household items, including pots and pans, toys, stockings (at the courtesy from Forest Hill Central High School Student Council) will be sold at a fraction of the market price. Gift wrapping services will be provided if parents would like to wrap presents for their kids or close family and friends the purchased items as gifts. They join afterwards for a warm dinner or breakfast. 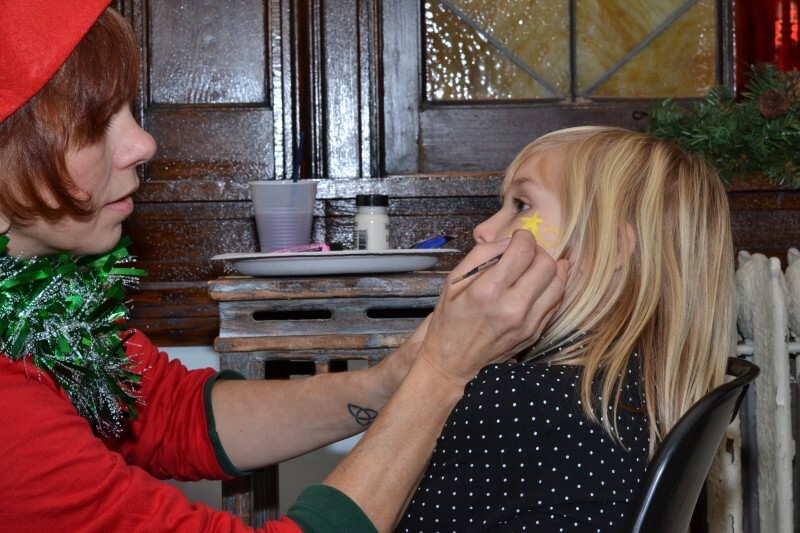 "The Family Promise Christmas Event is highly anticipated by both Cornerstone Volunteers and the invited families. In addition to being able buy gifts at the store, have a good meal and fun activities for the kids, families also get to reunite with some families they used to stay in the same host congregation with," said Tracy Bowers, Director of Outreach at Cornerstone Church.